BlackBerry Venice, the Canadian company’s upcoming Android-based handset, has been tipped to launch under the name ‘BlackBerry Priv’. A new image of the slider smartphone has also surfaced on the Web. Revealed by @evleaks on Twitter, the BlackBerry Priv moniker has been confirmed by n4bb website’s sources. The ‘Venice’ name used for the device until now was only an internal codename, which first popped-up in June this year. The tipster also revealed a new render image (seen above) of the BlackBerry Priv on Twitter. The image shows the front panel of the smartphone along with the slider qwerty keyboard and a front-facing speaker placed further below. The smartphone’s top panel is likely to include the SIM card and microSD card slots. 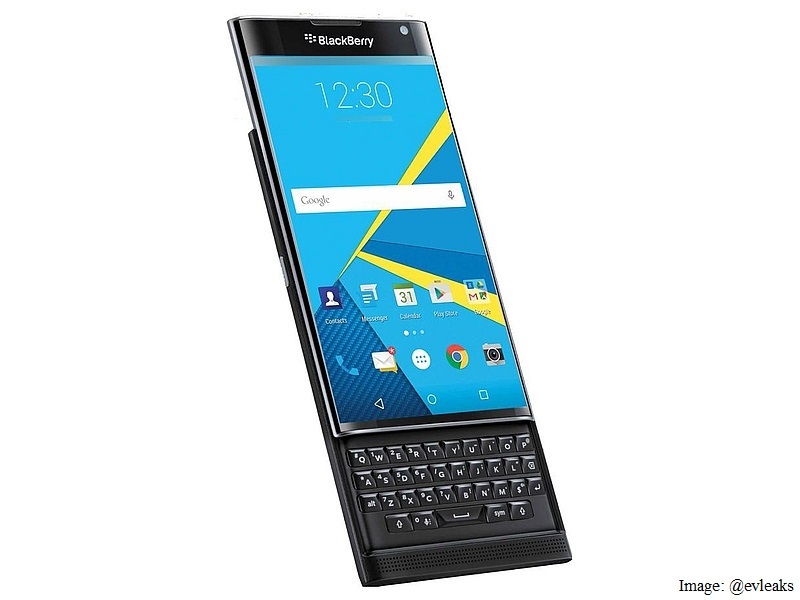 BlackBerry Priv is expected to launch around November. The handset is said to arrive on all four US carriers namely AT&T, Verizon, T-Mobiles, and Sprint in the same month. Unfortunately, no pricing details for the handset have been tipped so far, but based on the specifications, it is likely to be an expensive phone. Based on preliminary leaks and rumours, the BlackBerry Priv aka Venice slider smartphone is said to feature a 5.4-inch QHD (1440×2560 pixels) display, a 1.8GHz hexa-core 64-bit Snapdragon 808 SoC, 3GB of RAM, an 18-megapixel rear camera, and a 5-megapixel front-facing camera. On the side-lines, the Canadian company is also said to be working on an Android Lollipop version of the BlackBerry Passport Silver Edition, which also popped up in a leaked video. The smartphone was also spotted in a hands-on video earlier this week. The video showed the Priv featuring handy additions such as tap-to-wake, shortcuts to launch email app, and others. The Qwerty keyboard of the phone comes with capacitive touch input, which will allow a user to scroll through a page just by touching the keyboard.